Just ahead of the weekend, Microsoft released Windows 10 19H1 build 18329 to Windows Insiders in the Fast ring. Though Microsoft headlined this release as introducing Top Apps in Search, perhaps the most interesting news was the new ability to launch all Win32 apps in Windows Mixed Reality. 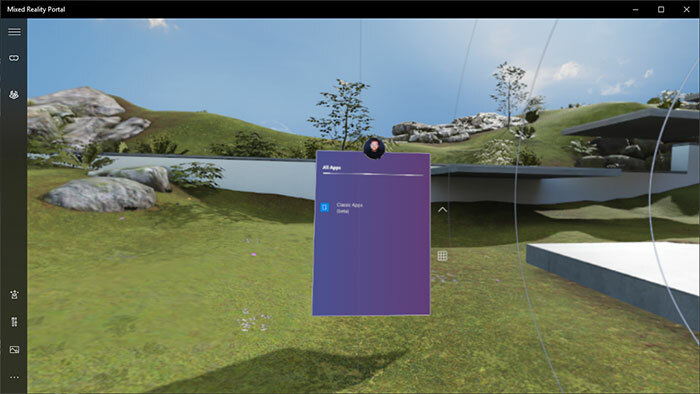 Windows Mixed Reality already lets you run UWP apps and now the application roster has been increased tremendously by the ability to run Win32 apps in the environment. Microsoft namechecks Desktop (Win32) applications such as Spotify, Paint.NET, and Visual Studio as all being useful in Mixed Reality mode. To use Win32 apps in Windows Mixed Reality mode, all you have to do is bring up Pins Panel, then go to all apps, where you will find a folder named 'Classic Apps (Beta)'. Look through this folder to select and launch your chosen application. However, Microsoft warns that this compatibility feature is still a work in progress and asks if users find errors and so on to report them via the Feedback Hub. Top apps in Search is heralded by Microsoft as a great time saver. It says that just opening Search Home will provide quick access to the apps you use the most. 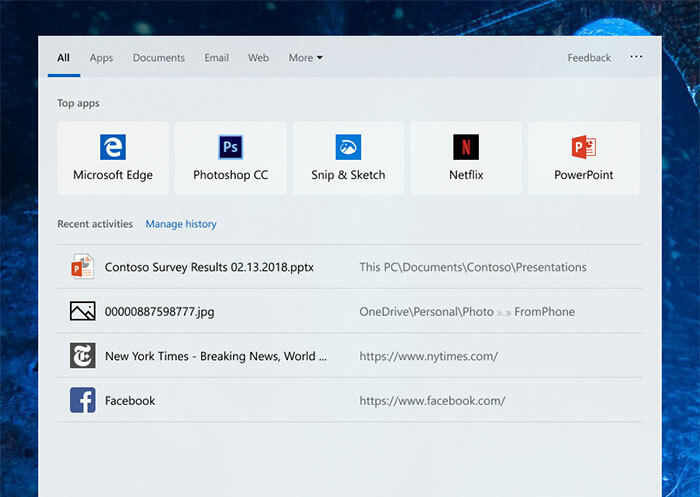 Microsoft's algorithm puts the top apps section atop of the pop-up search menu, above your recent docs and timeline items. ADLaM and Osage keyboard support. Here are soft keyboards using the ADLaM script (to write Pular/Fulfulde, the language of the Fulani people of West Africa) and Osage script for the people of the Osage Nation in Oklahoma. Extended Dark Mode UI for Mail and Calendar. 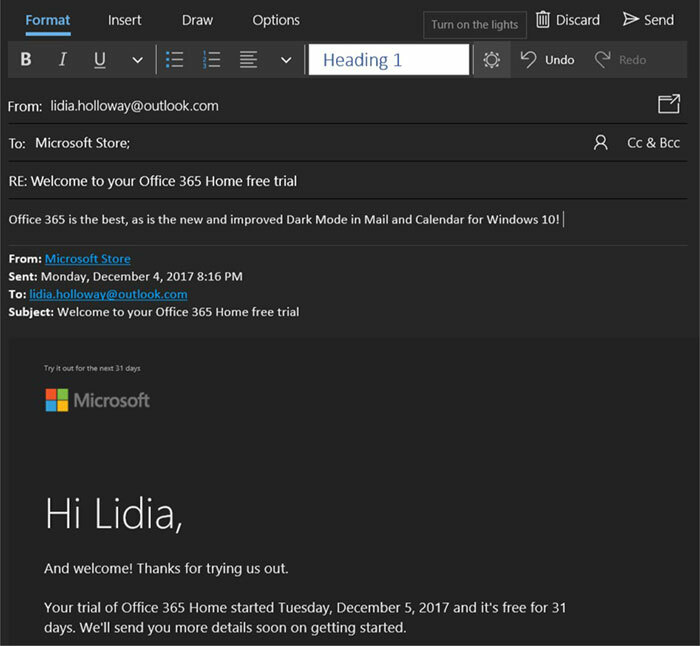 You might already see Mail, for example, works in Dark Mode, but Microsoft has extended this mode to more parts of this app and Calendar. For example, Dark mode now works when composing a new message, updating a calendar item or reading your email. Handily, any particular email can have its light/dark mode toggled with a 'sun' icon - which could be useful if an email has peculiar formatting. Default font. Here is a "top customer requested feature," which allows you to specify the default font for new email or reply to email. The default you set stores typeface, size, colour and emphasis options. As well as the above, Microsoft has included the usual long list of fixed issues, and an almost-as-long list of known issues remaining in this public test version of the OS. This build isn't available in some languages. Please check out the official Windows blog post for more info. Has anyone seen Mixed Reality headset sales figures? VR headsets seemed to do rather well over Christmas, specially the PS4 VR. I've not seen any figures but the lenovo set hit £200 around Christmas which I don't take as a good sign. I understand its probably the worst MR headset so take that with a pinch of salt. Supposedly Sony sold 700K units over Christmas. The new Oculus Go sold 555K units which I'm not sure if that is a good or bad thing, but standard Rift and Vive figures weren't bad either at 160k and 130k units. So the Lenovo set at £200 is very interesting, that is clearly the sort of price that the market really wants for a VR headset. I'm not sure the Oculus Go with only 3 degrees of freedom really counts. The Steam Hardware Survey shows a growing percentage of Windows Mixed Reality headsets. Though Vive and Rift still rule. Which is understandable. Still very happy with my Rift, but whilst just about everyone who tries it wants one they all baulk at £350 price tag (plus new GPU for quite a few). Looks like Ebuyer and Scan still have them at just under £200.